One click to the new releases on Life Mission, Soul's Purpose, Barnes and Noble. Amazon Synopsis: With his bestselling spiritual guide The Power of Now, Eckhart Tolle inspired millions of readers to discover the freedom and joy of a life lived "in the now." In A New Earth, Tolle expands on these powerful ideas to show how transcending our ego-based state of consciousness is not only essential to personal happiness, but also the key to ending conflict and suffering throughout the world. Tolle describes how our attachment to the ego creates the dysfunction that leads to anger, jealousy, and unhappiness, and shows readers how to awaken to a new state of consciousness and follow the path to a truly fulfilling existence. A New Earth was an Oprah Book Club pick and reads as a traditional narrative, offering anecdotes and philosophies in a way that is accessible to all. Illuminating, enlightening, and uplifting, A New Earth is a profoundly spiritual manifesto for a better way of life—and for building a better world. Amazon Synopsis: This book helps you find what you alone were born to do in this lifetime. Dr. Thurston outlines a practical, easy-to-understand procedure for discovering your soul's purpose. By applying these ideas, you will open new opportunities for a joyous, fulfilling life. Amazon Synopsis: Now in Paperback! In this intimate treasury of wit and wisdom, Richard Bolles, author of the job-hunting bible: WHAT COLOR IS YOUR PARACHUTE?, explores the spiritual aspects of finding one’s place in the work world. For anyone who has ever wondered how to make the most of their unique natural gifts, or how to find a vocation that is both socially responsible and personally fulfilling, this enlightening and empowering little volume provides immeasurable guidance. Originally appearing as an appendix in PARACHUTE, this book has led countless people through life’s most difficult passages and is sure to inspire anyone who is either new to the job market or reconsidering their place in it. A guide to exploring the spiritual aspects of finding one’s mission in the workplace. Amazon Synopsis: If you suspect there could be more to life than what you're getting...if you always knew you could do anything if you only knew what it was, this extraordinary book is about to prove you right! A life without direction is a life without passion. The dynamic follow-up to the phenomenal best-seller Wishcraft, I Could Do Anything If I Only Knew What It Was (the New York Times Bestseller) guides you, not to another unsatisfying job, but to a richly rewarding career rooted in your heart's desire. And in a work of true emancipation, this life-changing sourcebook reveals how you can recapture "long lost" goals, overcome the blocks that inhibit your success, decide what you want to be, and live your dreams forever! * What to do if you never chose to be what you are. * How to get off the fast track--and on to the right track. * First aid techniques for paralyzing chronic negativity. * How to regroup when you've lost your big dream. * To stop waiting for luck--and start creating it. Amazon Synopsis: Describes the thirty-seven spiritual paths of twentieth-century life while offering insight into learning which is most compatible. By the author of The Way of the Peaceful Warrior. Amazon Synopsis:Making the Gods Work for You presents internationally renowned author Caroline W. Casey's remarkable doctrine of Visionary Activist Astrology. In this reverently irreverent mystery school disguised as a book (in which each of the planetary gods is a professor), we are invited to think of our lives as spiritual detective novels. For example, Venus teaches us that our affinities and quirks are clues to our unique mission and contribution to the world. The astrological language of the psyche is a tool for deciphering and revitalizing this sense of mission. Casey teaches you how to expand your range of intimacy with the ten parts of yourself represented by the planets, here called gods. You will learn how to use this language to reverence and feed the forces of your psyche that connect you to very real external forces. This book intends to catalyze a movement to engage the imagination of all people with a sense of humor and a desire to do collaborative good in the world. Expanding on the ideas first presented in her popular audiotape series, Inner and Outer Space, Casey explores the archetypes at the heart of human relationships, aspirations, and spiritual quests. In an engaging narrative enlivened by stories, fables, exercises, and meditations developed through her work as an astrological counselor, she provides a practical system of personal and collective liberation. Making the Gods Work for You provides us with innovative principles to live by and rituals inviting us to become active, dynamic participants in the dance of life. We can then become increasingly conscious players on the team of creation, capable of sharing our gifts with the world at this crucial historical time. Amazon Synopsis: From the inspirational leader and author of the international bestsellers Your Sacred Self and the classic Your Erroneous Zones comes this mind-awakening guidebook for making your desires reality. Filled with warmth and insight, this invaluable book will help you achieve your goals--and take you to a level higher than you've ever dreamed. Amazon Synopsis: 10 years ago, Rick Warren wrote The Purpose Driven Life, which became the bestselling hardback non-fiction book in history, and is the second most-translated book in the world, after the Bible. PDL has inspired and changed tens of millions of lives ... more than any modern book. NOW, Rick has updated and expanded the book with new chapters on the greatest barriers to living your purpose, plus 42 video introductions to each chapter theme, and 42 additional audio messages that go deeper into each chapter. He has also created a new small group curriculum and new sermon series for pastors, and new follow-up events to conserve the evangelistic and discipleship results you will experience. In the original 40 Days of Purpose campaign, churches averaged 28% growth in attendance, and over 100% growth in small group Bible study! People WANT to know their purpose in life! The Purpose Driven Life will enable a new generation in your church to discover God's purposes for their lives and empower your church with a fresh new wind of hope, joy, and vitality! Amazon Synopsis: Everyone really has a purpose in life, says Carol Adrienne in her new guide to harnessing the power inside yourself. The question is: How do you learn to go with the flow and let your true nature guide you? Chapter by chapter, The Purpose of Your Life explains how to locate the source of your innate energy and focus it, how to align yourself with the natural forces that swirl around us always, and how to develop the intuition that fosters synchronicity. The book is packed with illuminating anecdotes and profiles of fascinating people -- from artists to urban planners to Zen masters -- who describe how they found their own purposes. There are practical exercises throughout, along with charts, self-questionnaires, and other tools that help you understand yourself and your deepest aspirations. As you learn to recognize and trust the voice of intuition, you'll find new doors opening and new possibilities everywhere. You'll feel invigorated by the potential you've unleashed, a power that will only grow with each new accomplishment. And you'll discover the serenity and satisfaction that come only to those who are living life to the fullest. The Force is with you -- all you have to do is reach out and start to use it. Amazon Synopsis: Soul Lessons and Soul Purpose is a book channeled by Sonia Choquette’s spirit teacher guides, The Three Bishops, as well as Joachim and the Emissaries of the Third Ray. These highly evolved and loving guides work specifically to bring about understanding, direction, and support to all souls so that we may learn to become the creative masters of the life that we’re intended to have on Earth. The guides state that Earth is “soul school,” and that we’re here to master 22 basic soul lessons in order to fulfill our purpose. Each lesson is laid out in such a way that anyone—on any level—will be ready to follow the instructions. Amazon Synopsis: Embrace your soul's true calling. Discover your path in life with the teachings of Edgar Cayce. Amazon Description: This calming CD allows you to open up to the miraculous power of the angels. 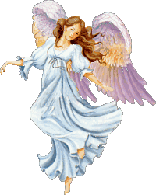 Doreen Virtue leads you through a powerfully healing Angel Therapy session. You’ll work with archangels to release old blocks and toxins; cut cords of fear; heal past-life issues; and gain confidence, courage, and clarity about your life’s purpose and relationships.